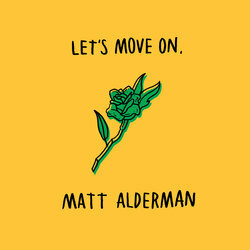 Matt Alderman is a 20-year-old singer/songwriter from Adelaide, South Australia known for his easy-listening, alt-pop tunes. After releasing his debut EP ‘Layers’ in 2014 at just 16 years of age, Matt has since entertained crowds across Adelaide and the Yorke Peninsula with breezy and fun performances. Fast tracking to 2018, Matt spent time at Wundenberg’s Studio in Adelaide to record a suite of new songs, which mark a big step forward and a return to both the digital and live music spaces. Matt can be seen live either solo or with the full backing band consisting of the extremely talented Jamie Carling on Drums and Lachy Williams on Bass. This song is about the final stage of a break up. This isn't about the hurt or the bitterness, it's about reflection, hope and the future. This verses of this song also tell a story about my struggle with anxiety.